A nifty overdrive switch in the top of the gearlever operates in third and fourth and makes the Sprint flexible enough for any type of road, and especially for dashing through country lanes or illegally topping 110mph in the outside lanes of the M5 and M4, flashing four headlamps at anyone getting in its way. 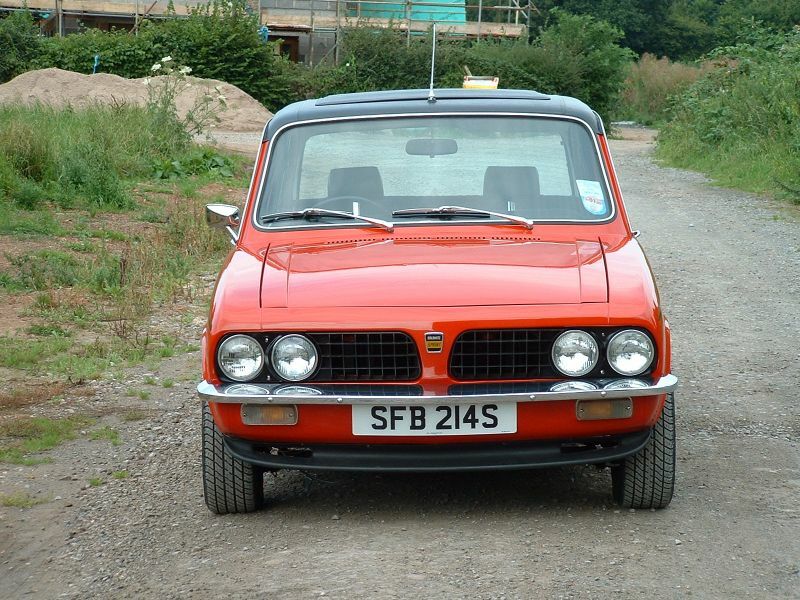 The Michelotti design was essentially an enlarged version of the 1300 or a tidied-up 2000. 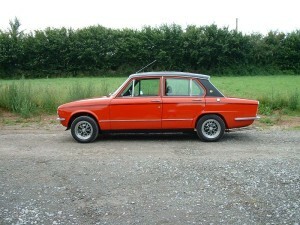 The Italian stylist known for his miraculously quick work but the Dolomite and Sprint were neat and functional. They offered unrivalled visibility from the driving seat, a light and airy environment, and ease of driving and maintenance. 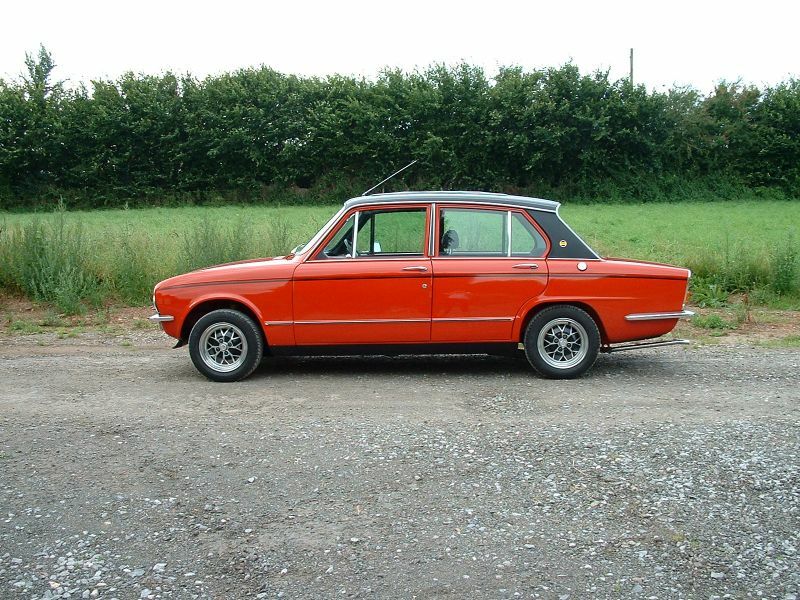 The Sprint was externally distinguished from the ordinary Dolomite by giving it cast allot wheels, a vinyl-covered roof, a front spoiler and twin exhaust pipes. Tinted glass and headrests were optional at first. Putting all this together with exceptional performance at the price, Triumph had a winner. sales of the Sprint reached 22,941 by the end its eight-year production run in 1980. The 16-valve engine of the Sprint is an ingenious but of design. 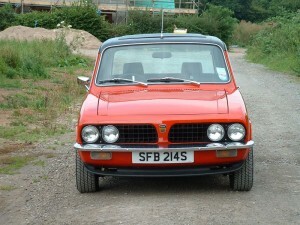 Spen King, who moved from Rover in 1969 to be head of engineering at Triumph, was pushing to build a 16-valve version of Triumph's slant four 16-valvers were being used in competition by then but had not been offered widely to the general public. buycarparts.co.uk The layout of the four valves for each of the Sprint's cylinders is the classis two inlets one side, two exhausts the other, with the spark plug dead in the centre. Inlet and exhaust valves are arranged at 35 degrees to each other but only a single camshaft is used. Sixteen cam lobes would demand a complicated, expensive shaft, so the Sprint engine has only eight: each cam profile operates both inlet and exhaust valves; the inlets are opened directly by means of bucket tappets while the exhausts are operated by long rockers. As a result the camshaft is simple, strong and long lived. Few significant changes affected the Sprint but changes to its 'parent', the 1500 and Dolomite ranges, were rife. its body panels are identical to those of the 1850, 1500HL, 1500 FWD and 1500TC but, even so, supplies are now in short supply. Remanufacture of several important panels is currently said to be just about to start, so keep your eyes peeled. Mechanical parts supply for Dolomites and Sprints is good. In fact, if you find a car with good body work and panel fit and a clean, undamaged interior, then it's worth buying even if it has a rattly engine. The engine is about the cheapest part of a Sprint to fix. Many specialists recommend fitting an oil cooler and radiators with four-row matrices to increase coolant capacity by 20%. A watchful eye must be kept on the water pump, which is on the side of the engine difficult to get at. It tends to leak and eventually fail. The Sprint engine, though already powerful, can readily be turned further. Simply fitting larger carbs - particularly 2in HS8 SUs - together with sport-type exhaust system can increase power by up to 20bhp. Gas-flowing of valve ports will push out even more. Harder, competition-type suspension bushes are another very sensible addition. These last far longer and give much improved road manners, at the coast some harshness. If rust has been kept in check the bodyshell is remarkably strong but rot in strategic points can destroy its integrity. The lower windscreen panels can hide severe problems: generally, if rust is showing on the outside around lower screen corners then it is too late. This area is a good indicator for the quality of the rest of the car. Any corrosion around suspension mountings must be taken seriously, as it affects the MoT. Other areas to look at include door bottoms, rear quarter panels under the vinyl, and the front panel from the headlamps inwards. Everything can be fixed but it makes sense to buy a good one to start with. Sprint offers brilliant value for money. Performance plus good handling, long-lived engines and moderate running costs make it a superb modern classic able to show most Nineties hot hatches a clean pair of heels. Specification: 1973-80: Four cylinder, SOHC 16-valve, 1.998cc engine; 127bhp, 124ln ft. Four speed all- synchromesh gearbox with overdrive on third and fourth (extra on early models); automatic option, IFS by coil springs, wishbones, anti-roll bar; rear live axle with coil springs, radius arms. Rack-and-pinion steering, disc/drum servo brakes. Performance: 0-60mph 8.7sec; max 115mph. 23.6 mpg overall Prices: up to £1,000: Lowest starting pint; may need lots of work £1,000-£1,500: Recommended lowest price to pay for half decent car £1,500-£2,000: Good car with plenty of tidying to do £2,000-£3,000: Excellent car with no significant body or mechanical problems £3,000-£4,500: Should be an absolute cracker £4,500-£6,500: Possible concours winner but be very careful about originality Parts: Mechanical parts supply is good but panels are more difficult, particularly inner areas. Trim is remanufactured, as are carpets. 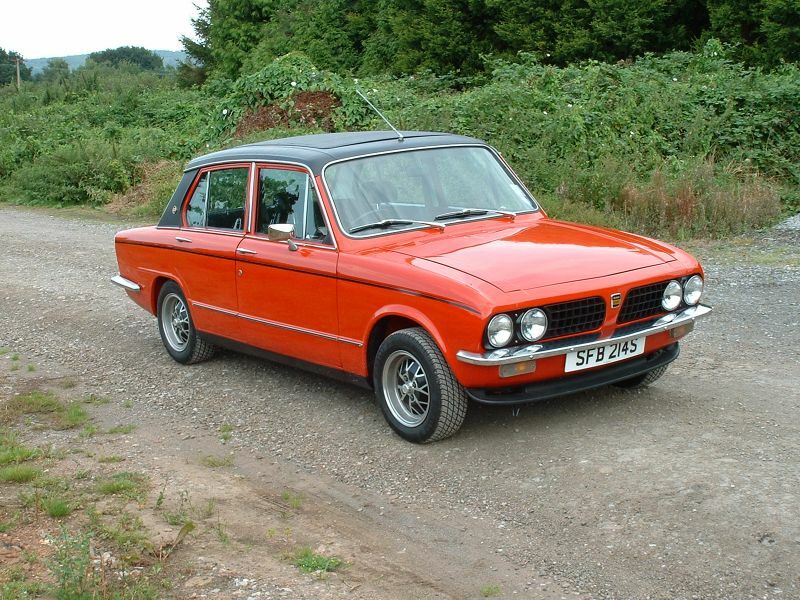 Model Evolution: June 1973: Triumph Dolomite Sprint introduced at £1,460 Autumn 1973: Automatic gearbox and laminated screen available as options. May 1975: Overdrive and tinted glass become standard, along with side trim with rubber insert and drivers door mirror. Headrests available as option. March 1976: Headrests and laminated screen now standard, as is radio. Limited slip differential available as option. May 1978: Sprint now costs £4,186 Spring 1980: Twin rear fog lamps fitted; new chassis numbering system. August 1980: Last Sprint leaves production line after 22,941 made. Mechanics Engine: 'slant-four' single cam 16-valve design is based on collaboration between Saab and Triumph. Ingenious design has only eight cam lobes on shaft. Robust and generally sound - bigger carbs and sports exhausts can boost power by 20bhp. Water pumps prone to failure: look for leaks under housing on right side of engine - difficult to see. Pump runs off same shaft as oil pump, which is therefore also prone to problems. Oil cooler is recommended, as is increasing oil pressure (non-harmful oil-pump chatter can result, though). Four-row radiators to increase coolant capacity by 20% are recommended for modern traffic conditions. Proper corrosion inhibitor/antifreeze coolant with soft water is essential for this allot head/cast iron block engine. Gearbox: All-synchro' box is sturdy long-lived and a delight to use. Over drive standard from 1975 from 1975, with neat switch in top of gearlever. Filling with oil from beneath car is tricky, as is filling clutch cylinder reservoir. Running gear: soft bushes in the suspension can make Sprints downright dangerous to drive - rear end will tend to crab and make steering hazardous. Firmer competition-type bush replacement is cheap to do. Rot around the suspension locating points can mean MoT failure. Electrics: No noteworthy problems but most overdrive failures are electric: the switch wires chafe in the gearlever and solenoids fail. Interior: original stuff just not available, so buy the best car you can from this point of view. Remade carpets are okay but door trims and seats are problematic.